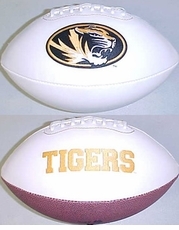 Embroidered: Large school logo embroidered for unmatched detail - perfect for autographs. 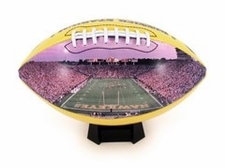 Stadium: Panoramic football stadium in high-gloss material with the history on the other side. 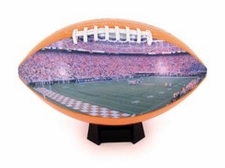 Foto: A very nice �antiquated� look displays perfectly around the home or office. 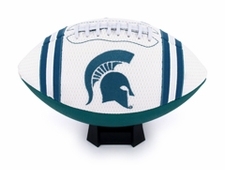 Jersey: A white mesh texture similar to jerseys, this is a great football gift. 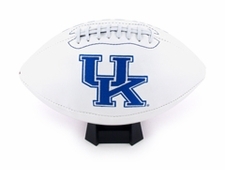 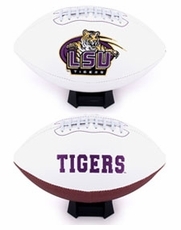 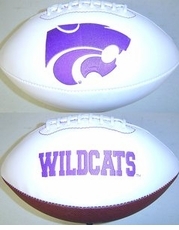 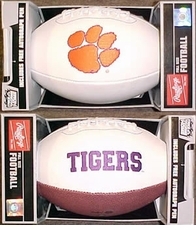 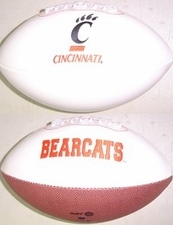 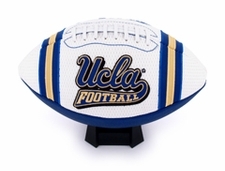 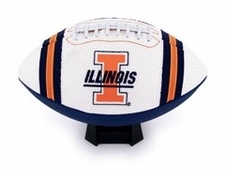 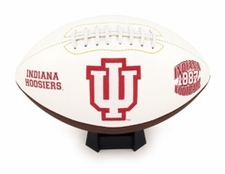 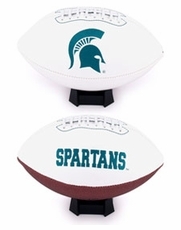 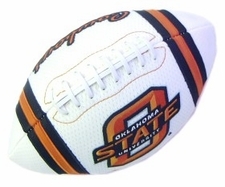 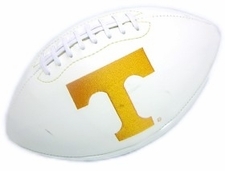 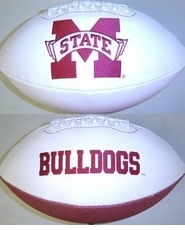 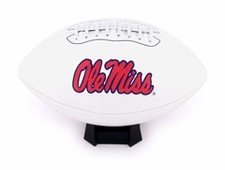 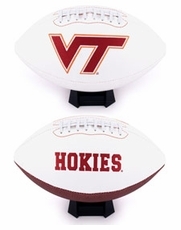 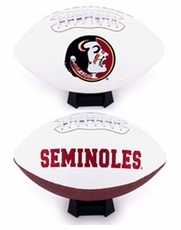 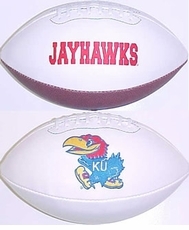 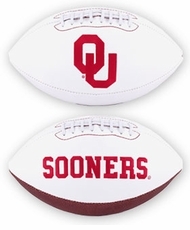 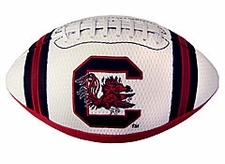 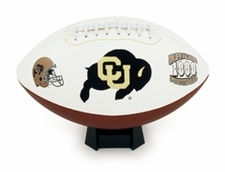 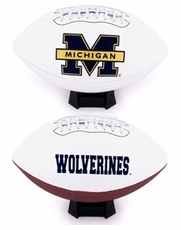 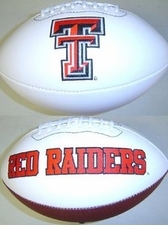 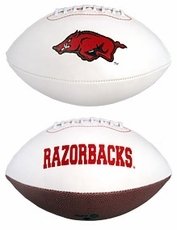 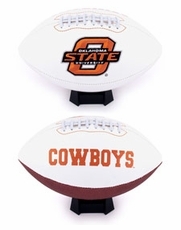 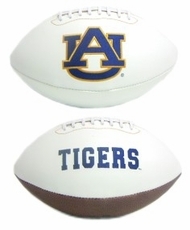 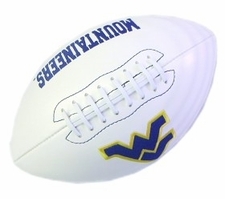 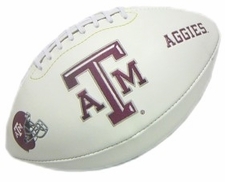 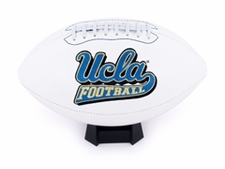 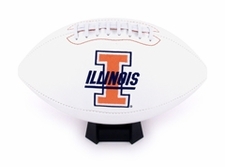 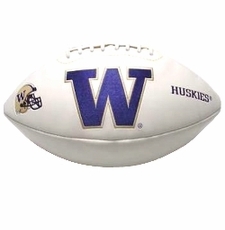 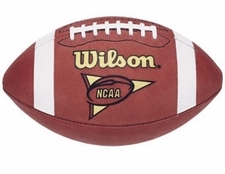 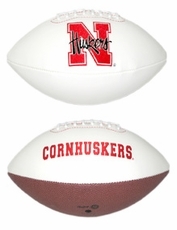 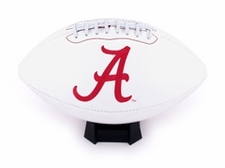 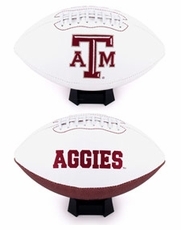 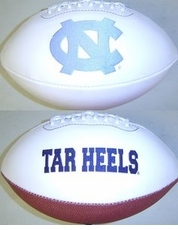 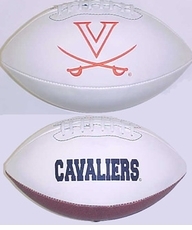 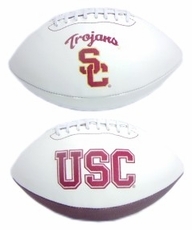 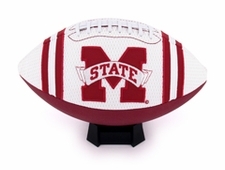 NCAA Team Footballs make perfect gifts for any sports fan or collector. 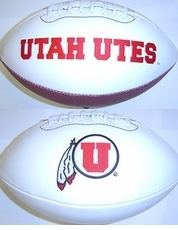 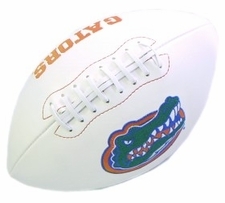 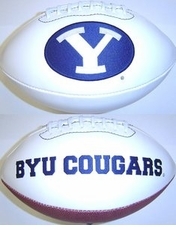 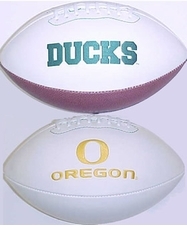 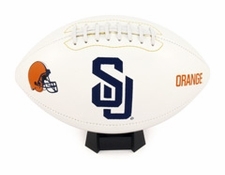 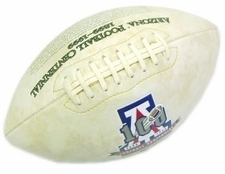 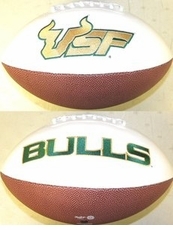 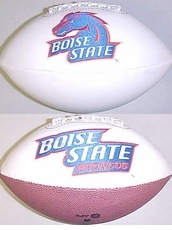 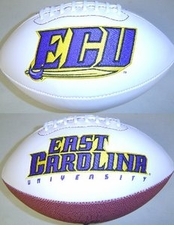 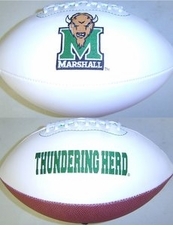 These footballs can also be used for player autographs � take yours to the next game. 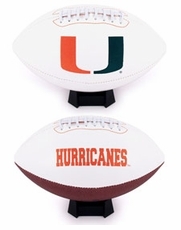 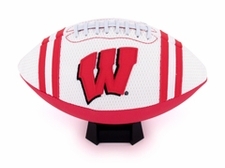 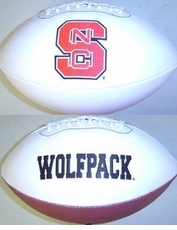 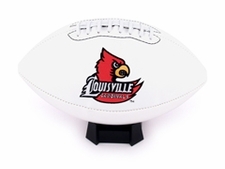 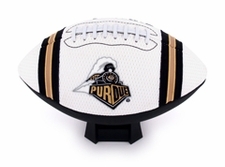 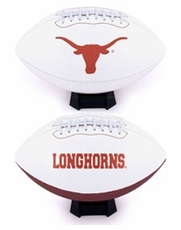 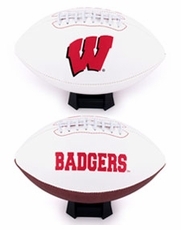 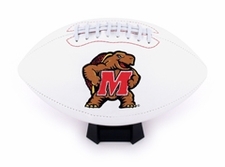 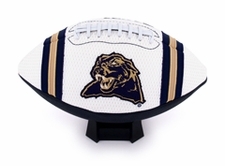 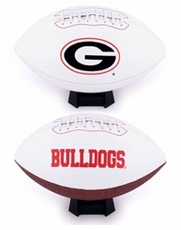 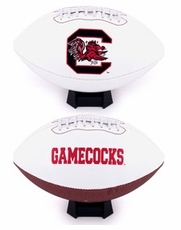 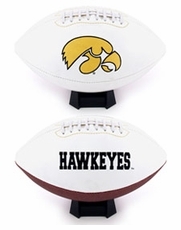 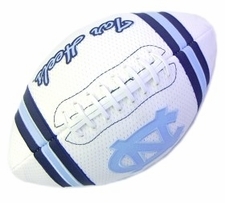 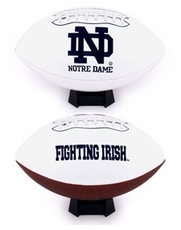 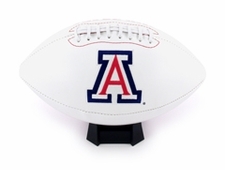 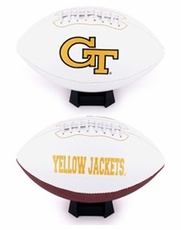 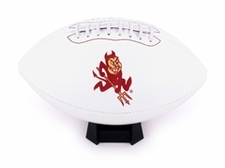 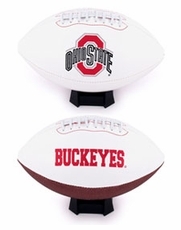 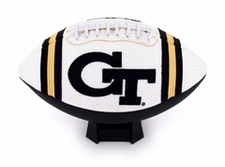 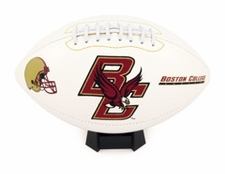 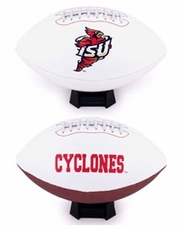 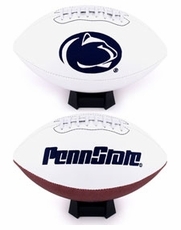 Show off your team spirit at home or at the office with a NCAA Team Football � order yours today!